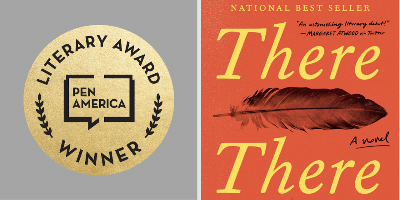 PEN America announces that Knopf author Tommy Orange’s acclaimed debut, THERE THERE, has won the 2019 PEN/Hemingway Award, which honors a distinguished first novel. Mr. Orange will receive $25,000 underwritten by the Hemingway Family and the Hemingway Foundation, as well as a month-long Residency Fellowship at the Ucross Foundation in Wyoming, a retreat for artists and writers, valued at $10,000. 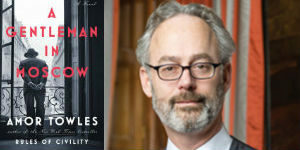 This PEN/Hemingway Award win for Mr.Orange follows THERE, THERE receiving the National Book Critics Circle (NBCC) John Leonard Prize, a special award he received last week that recognizes an outstanding first book in any genre, and the Center for Fiction First Novel Prize. Séan Hemingway, the grandson of Ernest Hemingway, will present the prestigious namesake literary prize to Mr. Orange at the PEN/Hemingway Award Ceremony will take place at the John F. Kennedy Presidential Library on Sunday, April 7, in Washington, DC. THERE THERE has also been a major commercial success, with 225,000 copies in print, and 14 weeks on The New York Times hardcover nonfiction bestseller list. 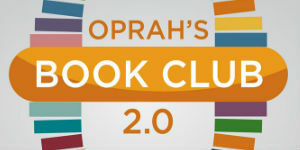 Our congratulations to Mr. Orange, his editor, Jordan Pavlin, and everyone at Knopf.